Adirondack Region vice president: Steven LaBombard. A licensed Realtor for nearly 25 years, Legaz is an investor of two NYC Keller Williams Realty franchises located in Jackson Heights and Flushing. He is also a broker in the Flushing office. Legaz was the 2017 president of the Long Island Board of Realtors (LIBOR) and the association’s Realtor of the Year in 2014. He has served and chaired numerous national, state and local committees. In addition, Legaz currently serves on the board of directors for the National Association of Realtors (NAR), NYSAR, and LIBOR. Legaz retired as a sergeant with the NYC Police Department in 2002 after responding to the 9/11 World Trade Center tragedy and losing his partner. He used his law enforcement knowledge and became a NYS real estate instructor teaching real estate safety classes in the Empire State and across the nation. Seuram, who has been involved in the real estate industry for more than 25 years, has been a Realtor for more than 18 years. He is an associate broker with Keystone Realty USA in Flushing. Seuram served as NYSAR president-elect in 2018 and has been a member of the NYSAR board of directors since 2006. He has chaired the NYSAR organizational planning committee, issues and mobilization committee and legislative steering committee. In addition, Seuram has been a member of numerous other committees including education management, nominating, strategic planning and served as a trustee of the Realtors Political Action Committee (RPAC). He is a graduate of the NYSAR leadership academy and a past member of the NYSAR Realtors Honor Society. Seuram is also an active participant of NYSAR’s annual Lobby Day, which is gives Realtors a chance to meet with lawmakers to discuss Realtor-centric issues in Albany. 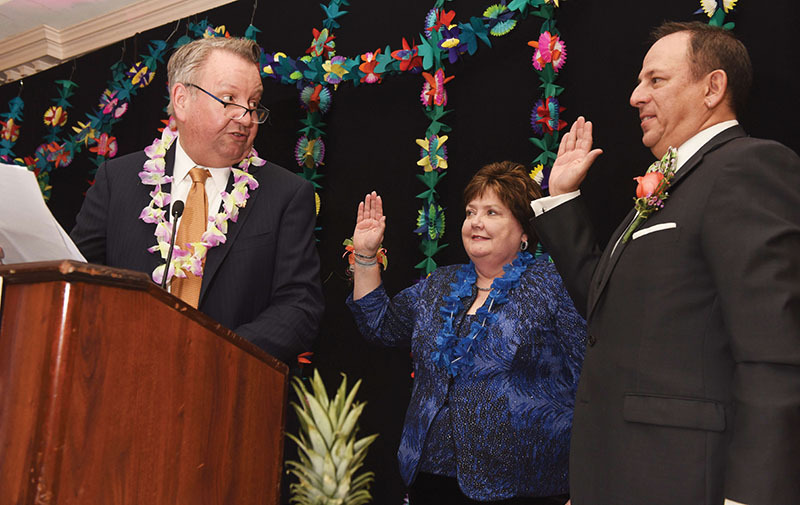 As a past president of the Long Island Board of Realtors (LIBOR), Seuram was named the board’s 2010 Realtor Associate of the Year. In addition to serving as a director, he has previously served on and chaired numerous committees including budget and finance, education, professional standards and housing opportunities. A Realtor for nearly 30 years, Stevenson is the broker/owner of Blue Heron Realty in Ogdensburg, which offers both seller and buyer representation throughout St. Lawrence, Jefferson and Franklin counties. Stevenson currently serves as a city councilor for the City of Ogdensburg and is a past president of the Greater Ogdensburg Chamber of Commerce. Stevenson is an active member and past president of the St. Lawrence County Board of Realtors and is also an active member of the Northern Adirondack Boards of Realtors. In addition to serving as a director, she has chaired both the MLS and Fair Housing committees. In 2018, Stevenson served as NYSAR secretary/treasurer and is a past president of the Housing Opportunities Foundation, which is committed to assisting New Yorkers achieve the American Dream of becoming homeowners. She is the current chair of the NYSAR Investment and Budget and Finance committees, as well as the vice-chair of the Statewide Forms Committee. Stevenson previously chaired the Global, Resort and Second Home Markets, and Fair Housing and Cultural Diversity committees. Hart, an associate broker at RE/MAX In Motion in Ithaca. She is a member of both the Ithaca Board of Realtors and the Elmira-Corning board. Hart most recently served as 2016 president of the Ithaca board of Realtors and was named the association’s Realtor of the Year in 2017. Connors previously held the position in 2011 and 2012. Connors is an associate real estate broker with Howard Hanna in Pittsford. Connors is an active member and past president of the Greater Rochester Association of Realtors (GRAR). She currently serves on the GRAR executive committee and strategic planning group and has served on numerous committees including Realtor Bar, governance, finance, professional standards, and member services. She serves on the Realtor Charitable Foundation board of directors, the Women’s Council of Realtors and others. In addition, she is a past president of the former Western Steuben-Allegany Board of Realtors. Koval, an associate broker with Howard Hanna Real Estate Services in Clifton Park. Koval is a member of the Greater Capital Association of Realtors (GCAR) and the Commercial Industrial Real Estate Board (CIREB). He was the president of GCAR in 2017 and president of the Capital Region Multiple Listing Service in 2009. LaBombard, a sales associate with Fesette Realty in Plattsburgh. LaBombard is a past president of the Clinton County Board of Realtors (CCBR). In addition to serving on the CCBR board of directors, he also served on numerous committees including professional standards, nominating and finance. He was named CCBR’s Realtor of the Year in 2016. Radke, broker/owner of FM Realty Group in Fayetteville. 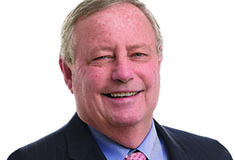 Radke is an active member and past president of the Greater Syracuse Association of Realtors, where he has chaired the legislative committee and served on multiple others including the education committee, finance committee, and the marketing task force. He is president of the Central New York Information Service, Inc., and serves on the board of managers for the New York State Alliance of MLSs. Radke is also a New York State certified real estate instructor.